Organic Indonesian Cinnamon & Fresh Green Apples – a warm, comforting, and cozy pure fruit flavor. Relax and remember sweeter times with our handcrafted Apple Crumble CBD Rich Hemp Oil. 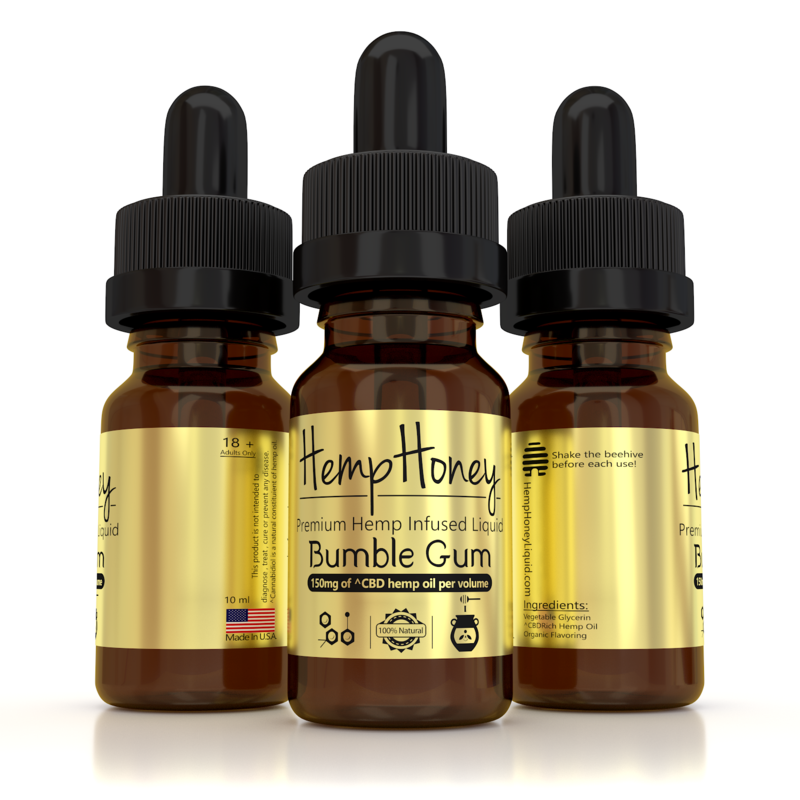 This Organic, High VG, Premium Eliquid available at hemphoneyliquid.com. 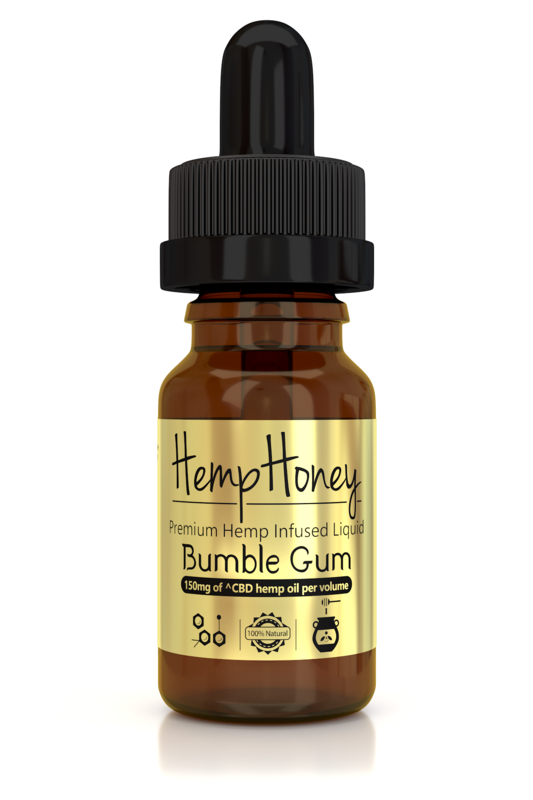 Each 10ml bottle of Hemp Honey contains 150mg of CBD Rich Hemp Oil and is created using premium organic high VG base for maximum vapor and flavor. 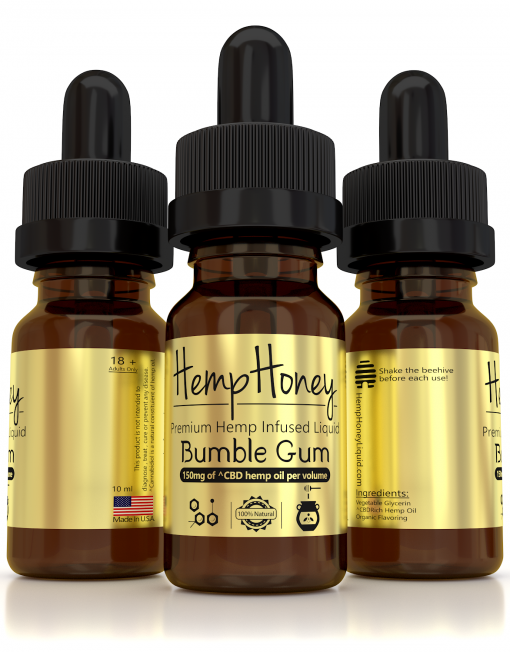 Organic USA-sourced Spearmint gives an interesting lift and top note to this classic bubble gum flavor. Subtly fragrant, and with less menthol than stronger mints, this gentle flavor is reminiscent of Wrigley’s chewing gum. Remember how fun it was to blow bubbles as big as your head? Bumble Gum takes you right back to your childhood. While you may not be blowing bubbles, you certainly can blow some amazing smoke rings with this thick tasty vapor. 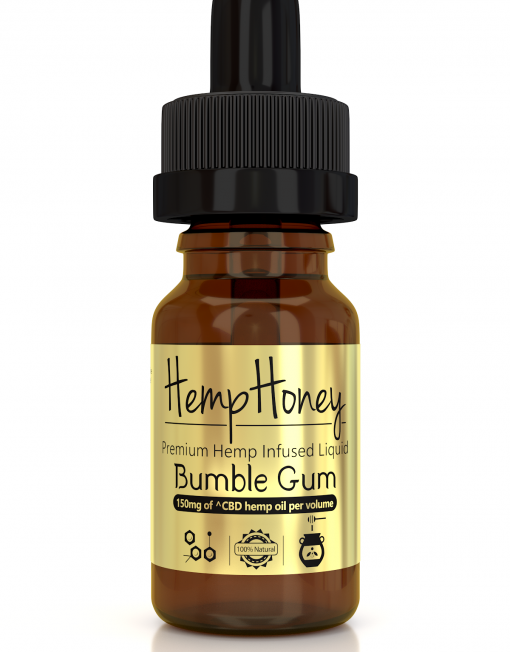 Hemp Honey Bumble Gum CBD Rich Hemp Oil is a playful, fun way to enjoy the positive health benefits of Cannabidiol CBD!